I had never made homemade macaroni and cheese until last night. For my first attempt, I turned to my go-to gal Ina Garten. Her recipes have never led me wrong and are always delicious. This mac and cheese recipe is no exception. It turned out perfectly — so creamy and delicious. I made a couple of minor changes — I used the 4 cups of gruyere as suggested but instead of 2 cups of extra sharp cheddar, I used 1 cup of extra sharp cheddar and 1 cup of sharp cheddar. Instead of fresh breadcrumbs, I used panko. You probably only need 3/4 cup of panko — not 1.5 cups. I also mixed some grated parmesan into the panko. 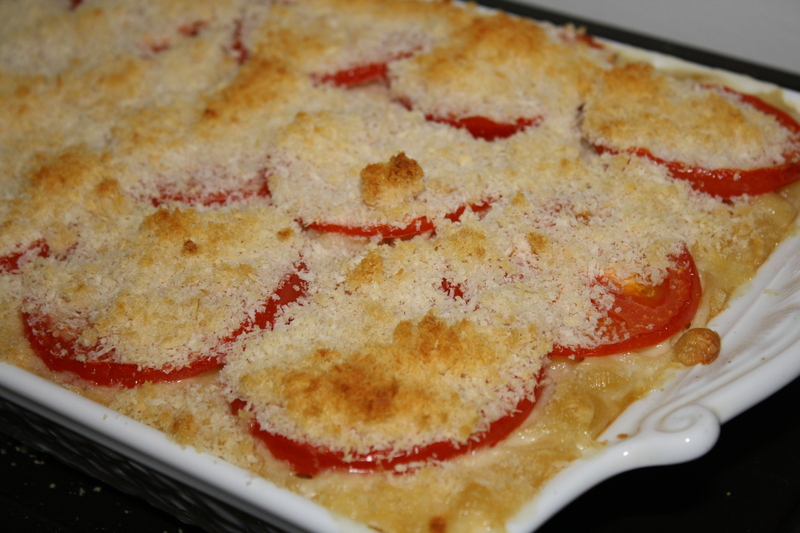 I enjoyed the crunch of the breadcrumbs and the flavor they imparted to the tomatoes on top of the dish. Lastly, I used small shells instead of elbows or cavatappi because I had a full box in the cabinet and they are roughly the same size as elbows. 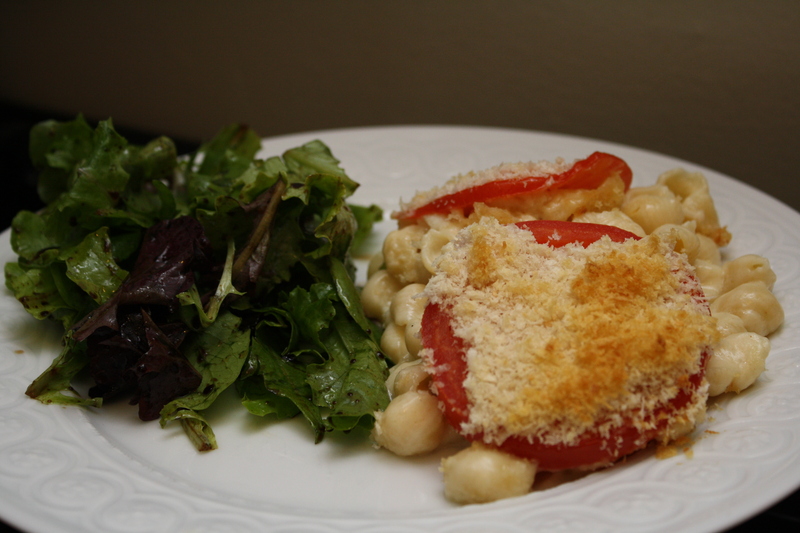 I served the mac and cheese with a simple green salad. Overall, this was comfort food at its best! Tim and I can’t wait to have the leftovers!